Having trouble reading this email? Read it online here. Are you a Toastmasters Member? Or do you know of a colleague or friend who is? If so, then please enjoy this special announcement, for those who are connected to Toastmasters International, an organization devoted to developing speaking and leadership skills, worldwide. 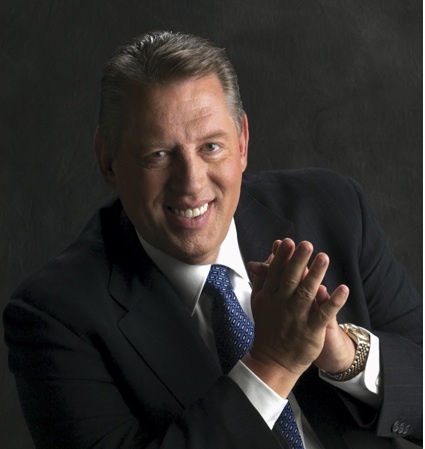 As you may know, John C. Maxwell recently received the Toastmasters Golden Gavel award for 2012, at the Toastmasters Annual Convention, in Orlando, Florida, for his legendary work during his 40+ year career as a best-selling author of over 60 books, and a top communicator, speaker and leader. Being offered exclusively for Toastmasters Members! John Maxwell will share his knowledge and experience on how "Impact Drives Income" and how you can go from public speaker... to paid speaker AND earn the income you desire and deserve! This is a FREE 2 hour, live teaching call with John, and will include an open Question & Answer session as well! to received all of the details and secure your spot now. We look forward to having you on the live call! Inspire other fellow Toastmasters Members to join you on the call with John as well!